The Associated Press reports that an unidentified producer of 106 and Park has been suspended for a segment aired Monday that featured a completely inappropriate joke about two-year-old Blue Ivy Carter's hair. 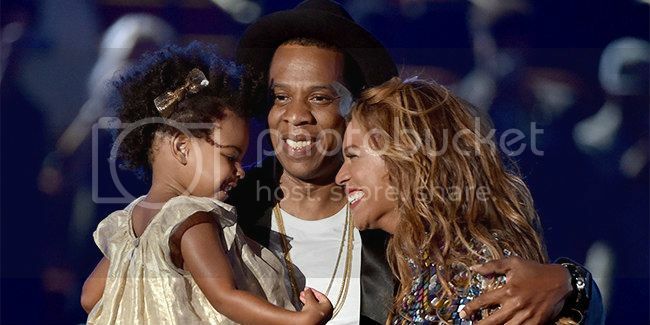 A source at BET, who spoke on the condition of anonymity because the person was not allowed to discuss the matter publicly, said the producer was suspended after a remark about 2-year-old Blue Ivy's hair. Last night on 106 & Park there was a stupid, unthoughtful joke made about a young child. We apologize publically to the child’s parents (and have done so privately) and we have taken punitive actions with those responsible. It was very bad judgment and we will serve you much better in the future. Oh, and please don’t hate on Karrueche; it was NOT her fault. We also apologize to her for putting her in that position. Karrueche Tran, who has bore the brunt of the backlash since Monday's show, also issued an apology via her rep. Yesterday, Karrueche Tran co-hosted 106 & Park and while hosting the show she made a comment about Blue Ivy’s hair during the segment “Top Six Things Blue Ivy Thought at the VMAs.” In no way did Karrueche mean to offend Blue Ivy or her parents Beyonce and Jay Z. This was Karrueche’s first time hosting on live television. Although she had been rehearsing the script for days, there was a script change ten minutes before showtime to add coverage of the VMAs and the Mike Brown Memorial. Karrueche had not reviewed the revised script until she read it on the teleprompter. '106 and Park' is currently on a hiatus which the network says was planned though the timing is quite suspicious. Though the joke was highly tacky. I do appreciate the network's willingness to admit fault so quickly. If you missed it, here's the joke that caused all the buzz.